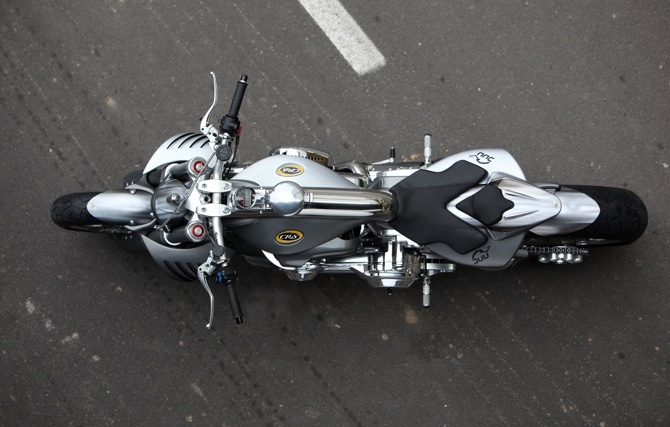 Static front 3/4 right-side view. 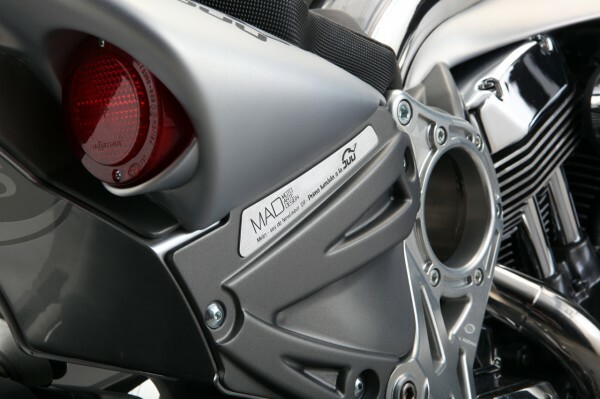 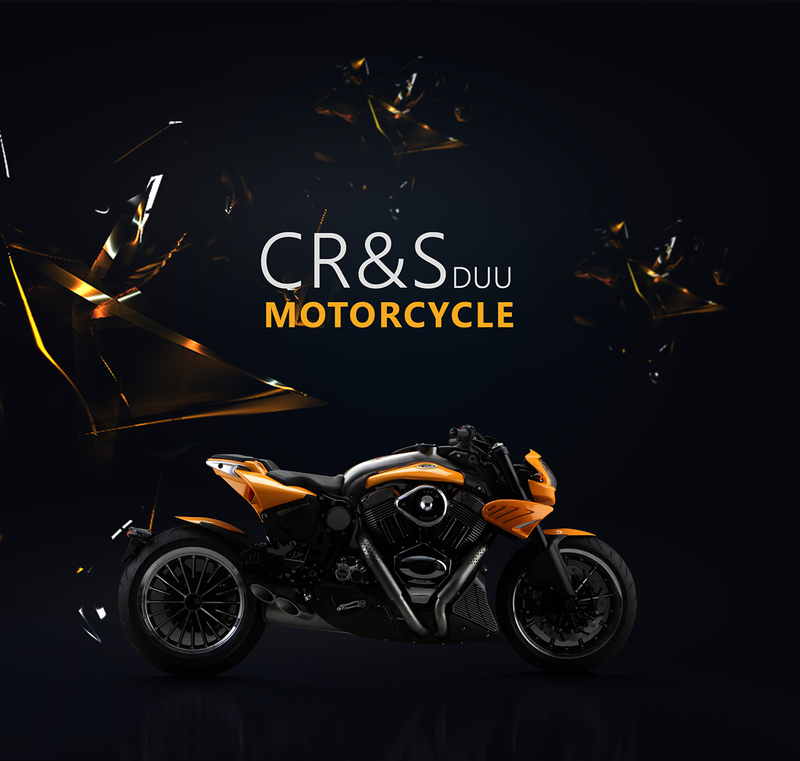 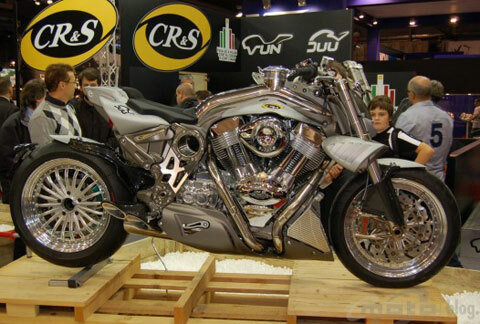 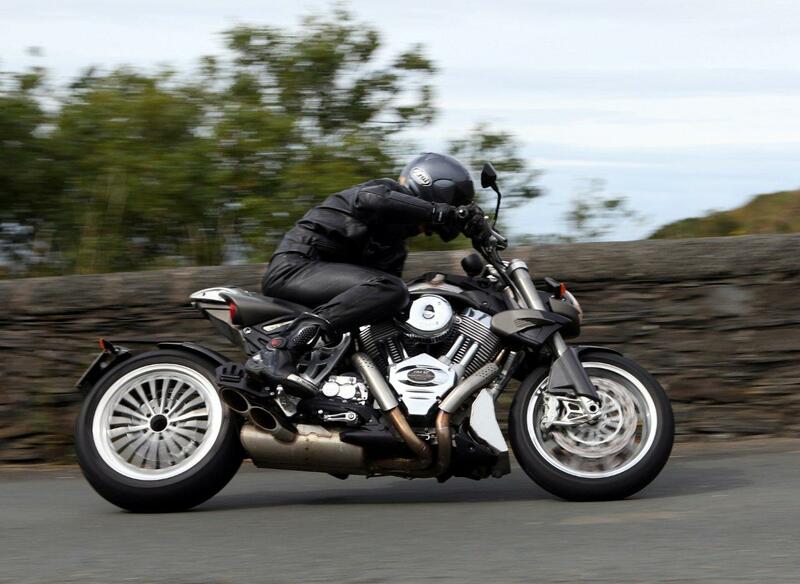 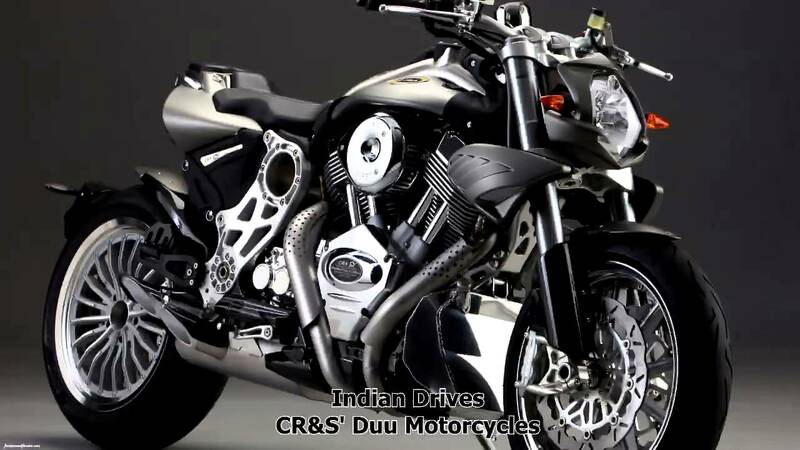 CR&S; stands for Cafe Racers & Superbikes, and influences from both camps are clear in the design of the DUU. 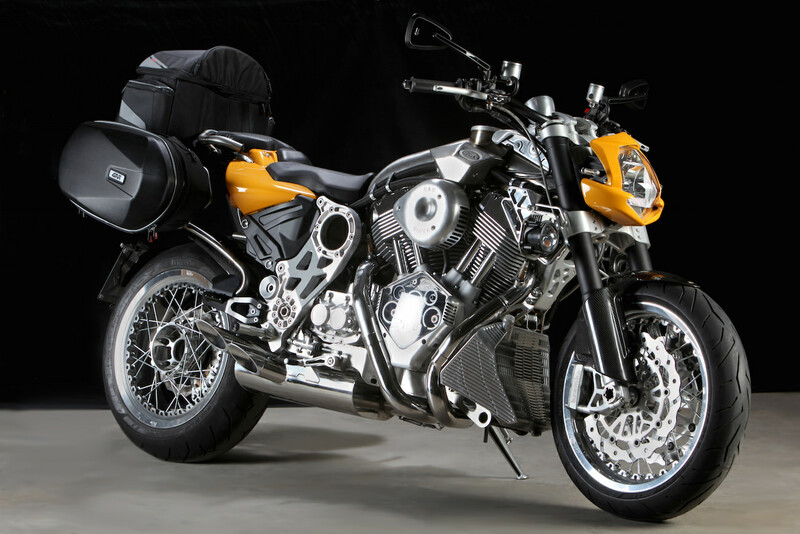 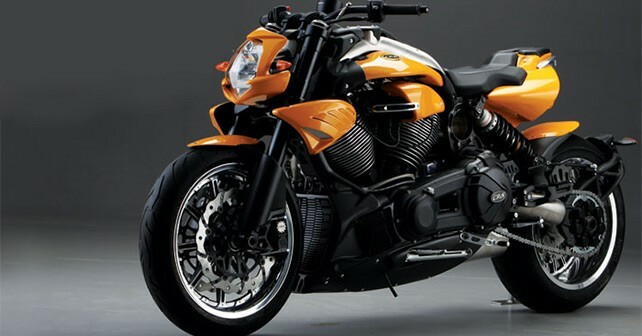 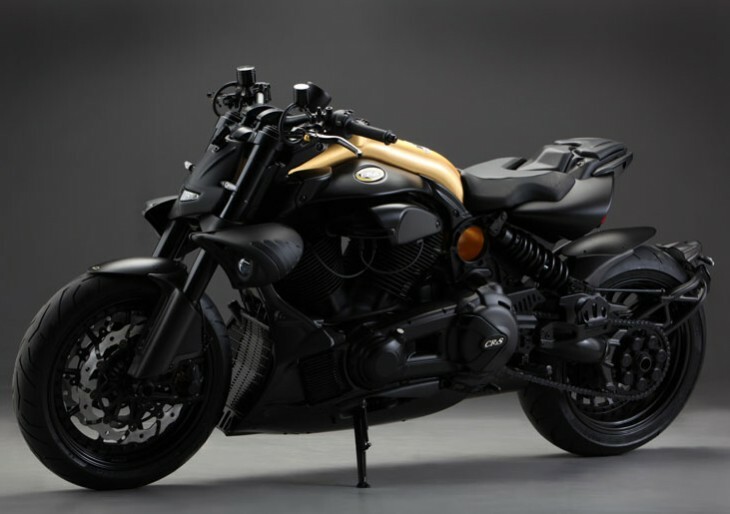 Even a V-Max looks boring beside this bike. 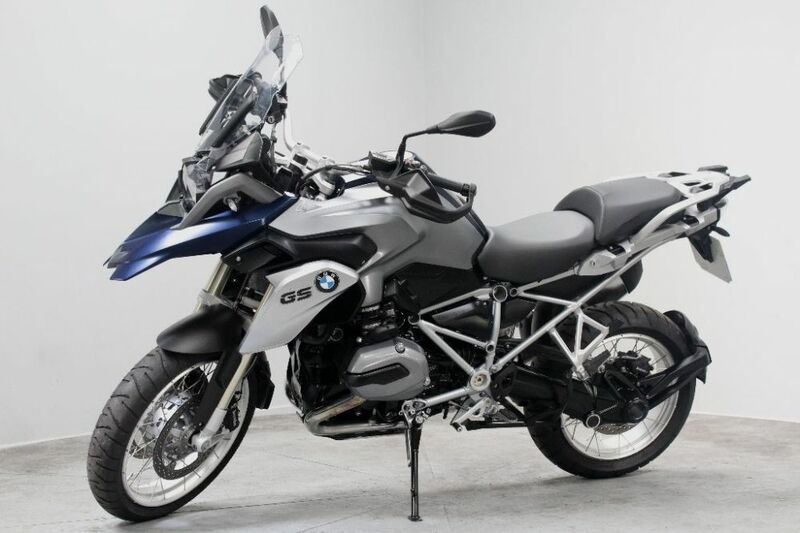 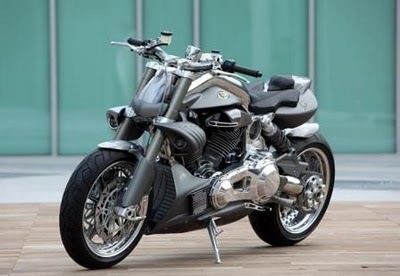 ... mix of naked front (even too much) and the rear that instead still had parts in traditional plastic bodywork… Too rough for a bike of this caliber! 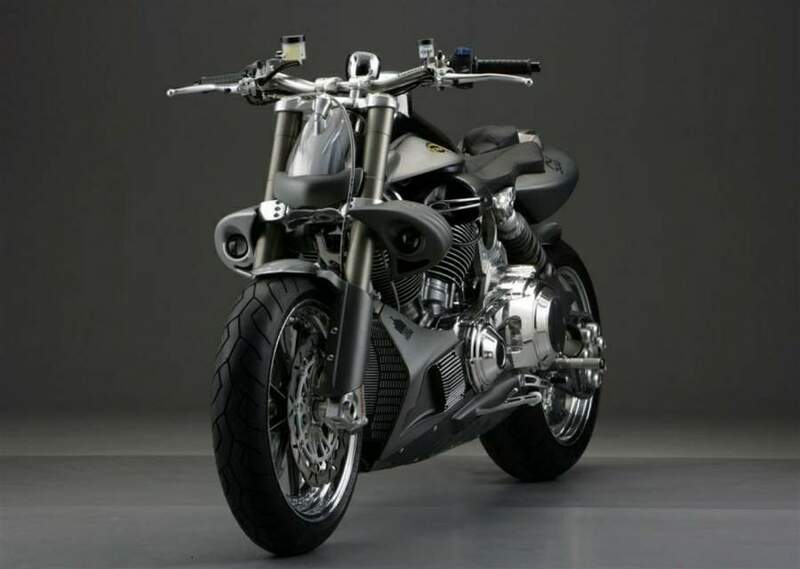 The DUU boasts an overall length of 86.6 inches, a 62-inch wheelbase, an impressive 24.5 degrees of rake, and 4.3 inches of trail. 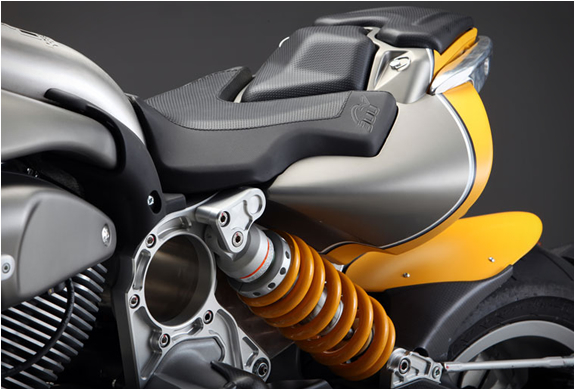 You like a big, throbbing Twin clenched tightly between your thighs, don't you? 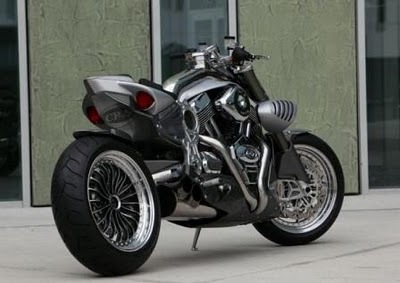 Don't worry, I'm talking about motorcycles, so you can agree. 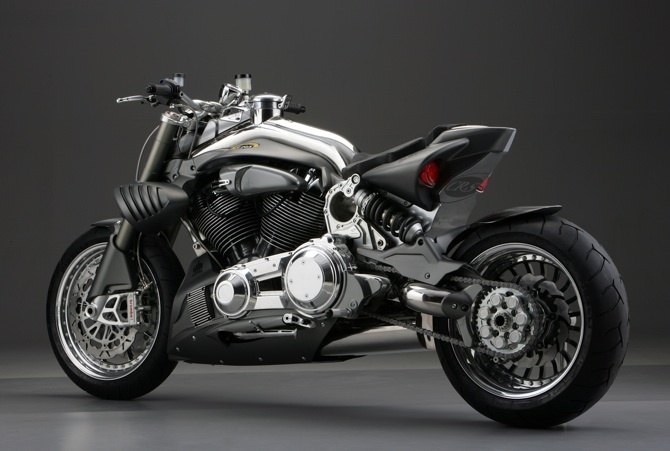 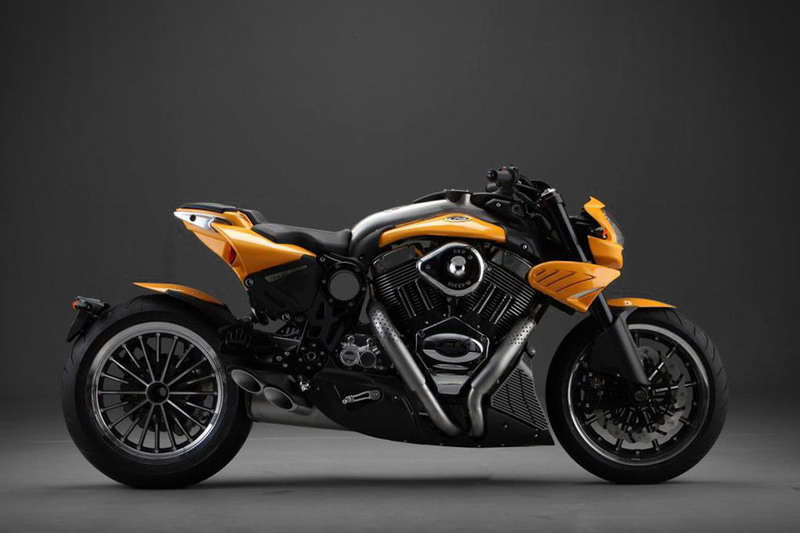 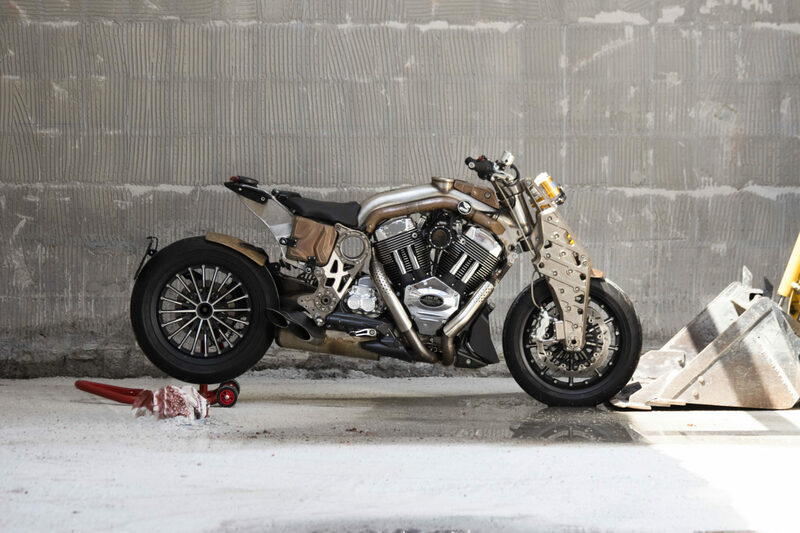 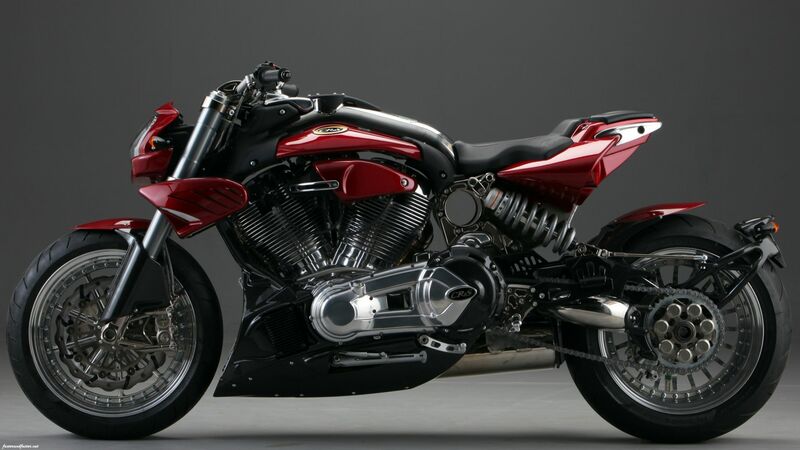 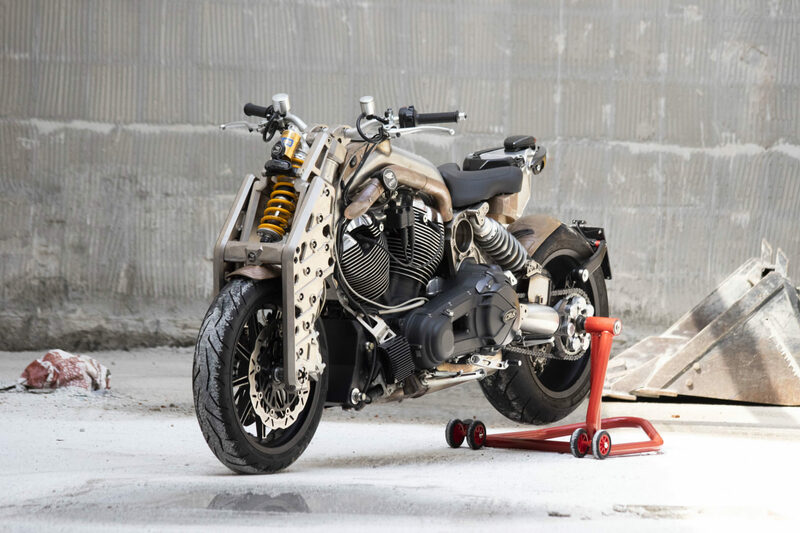 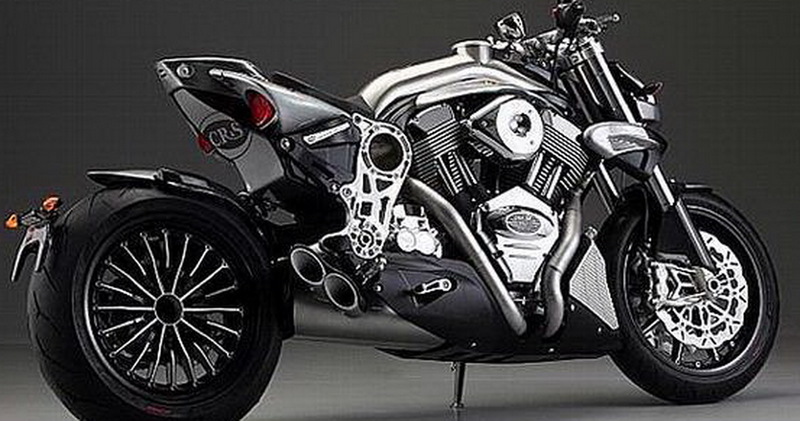 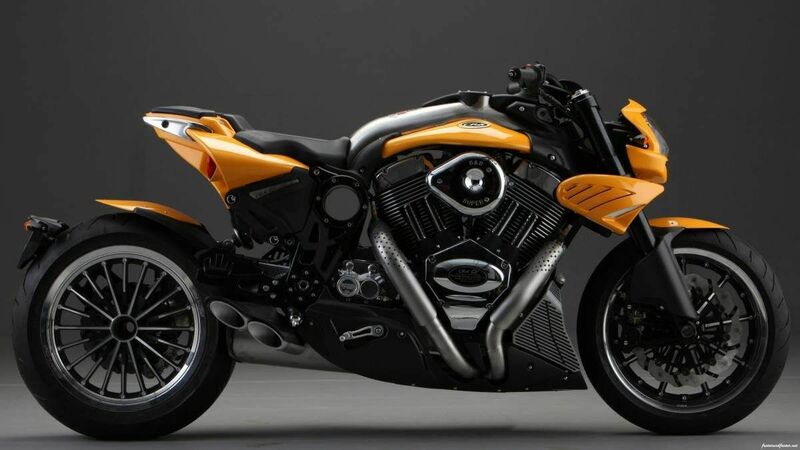 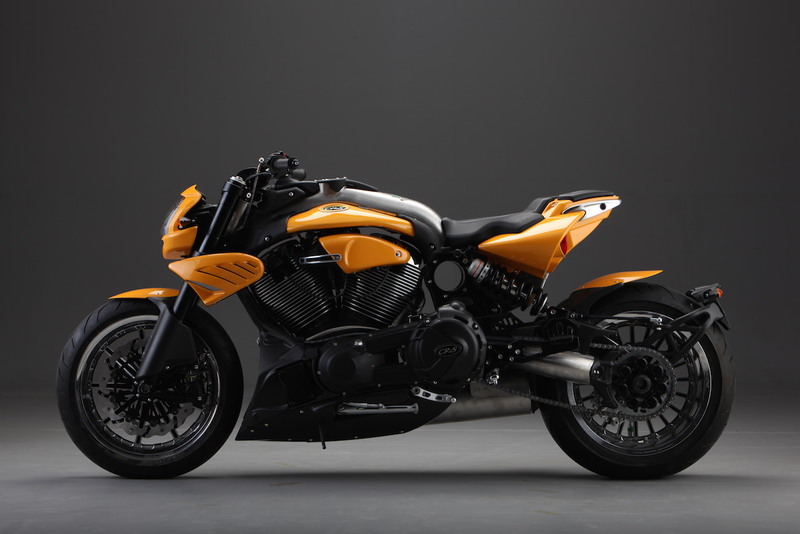 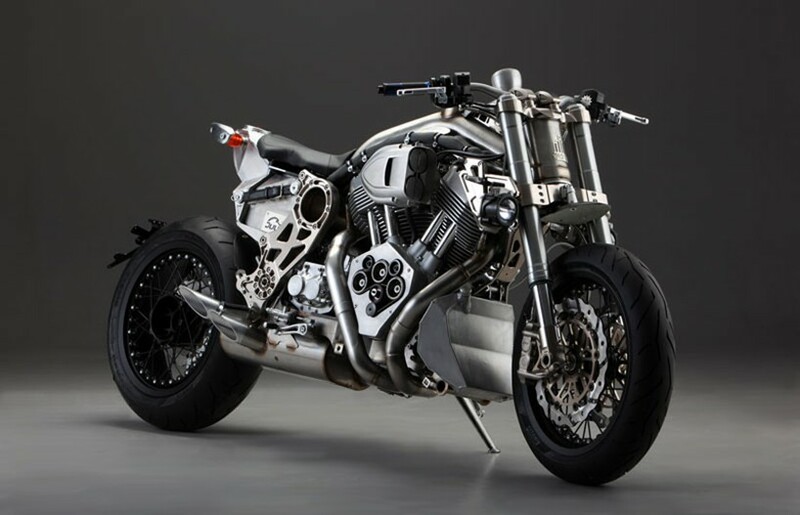 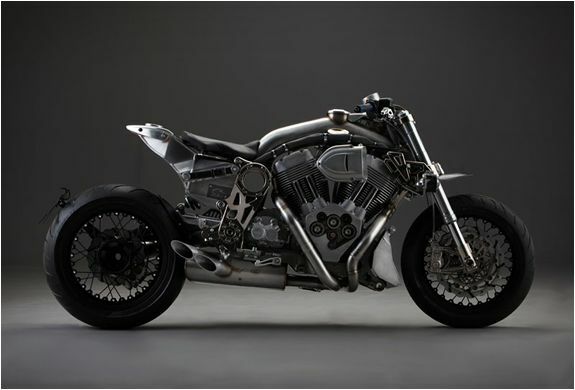 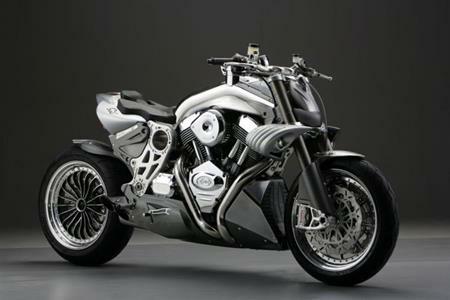 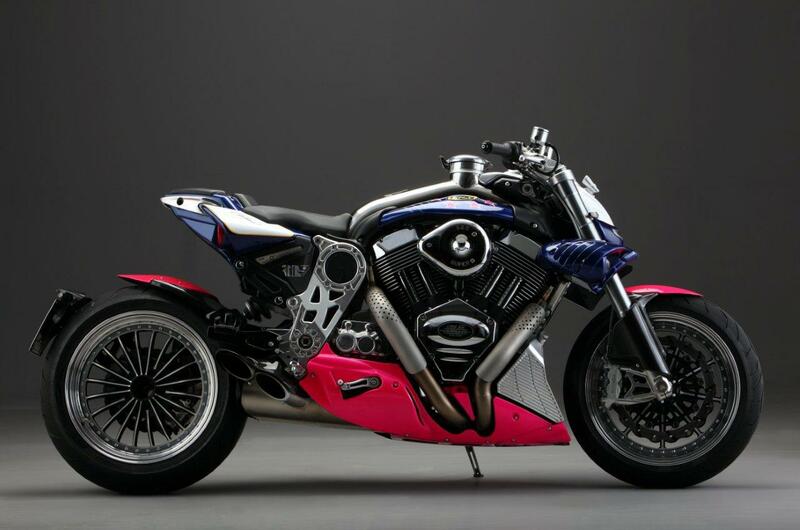 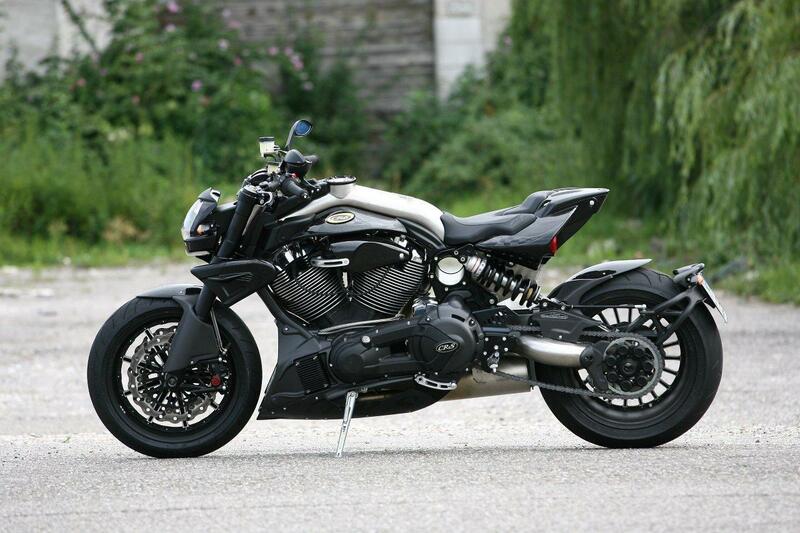 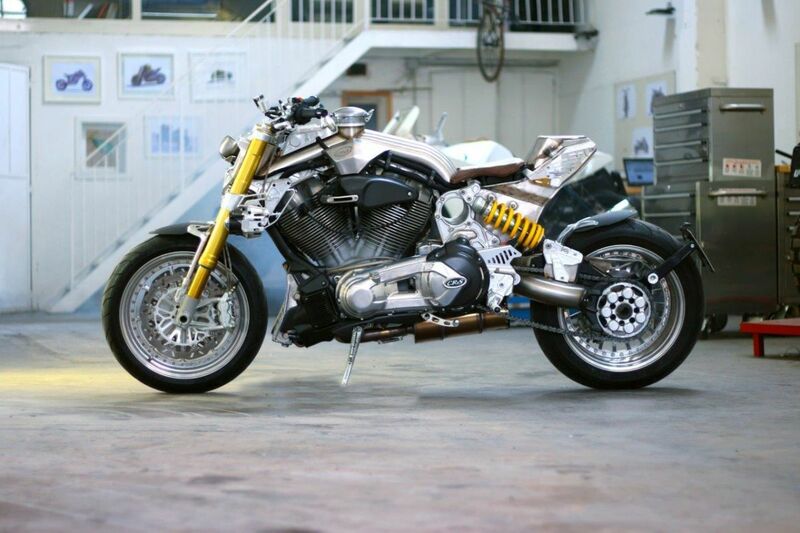 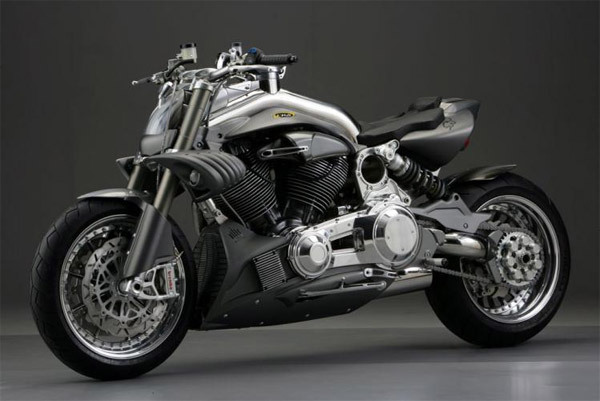 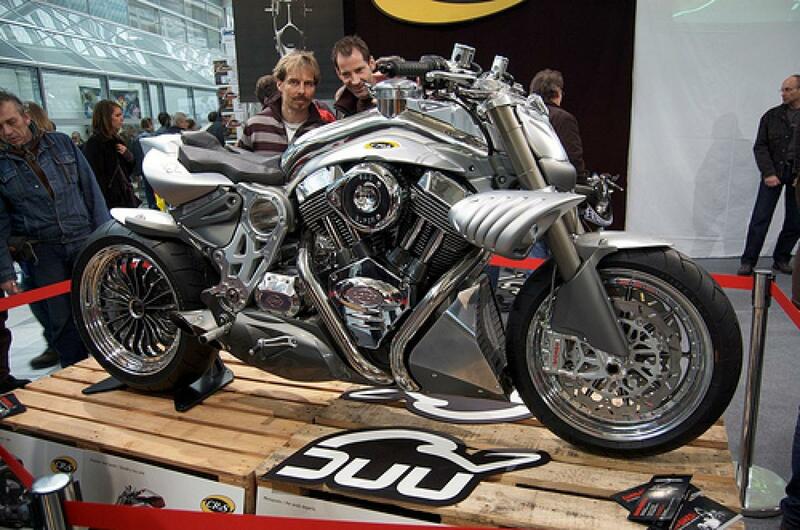 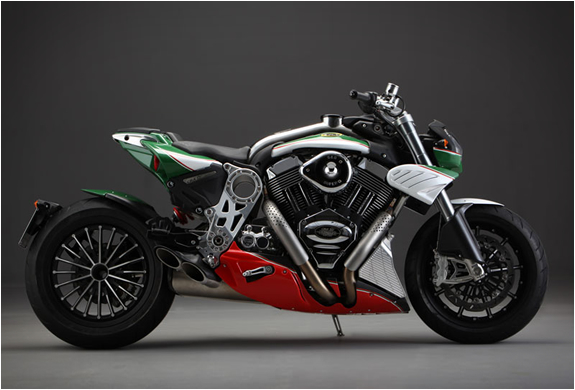 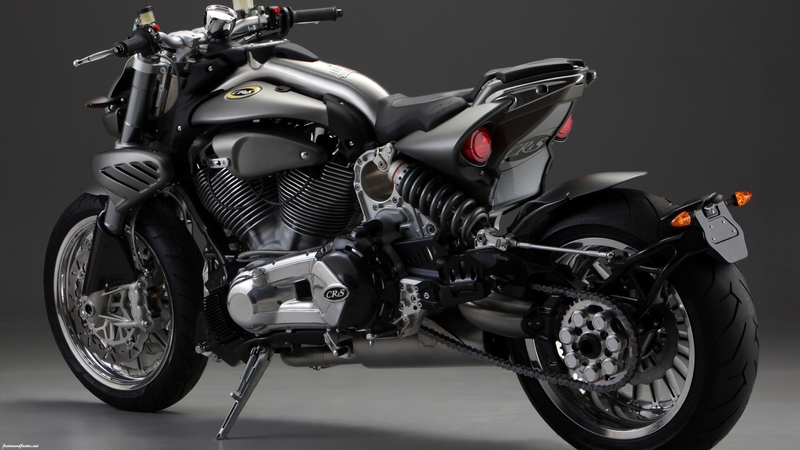 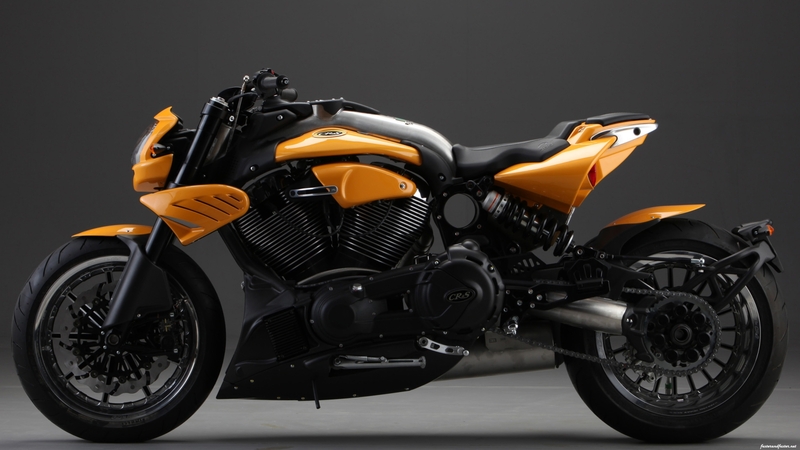 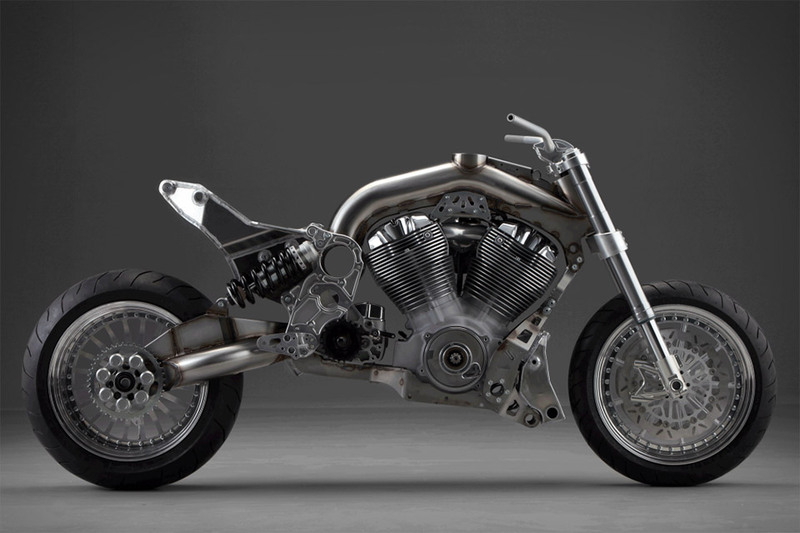 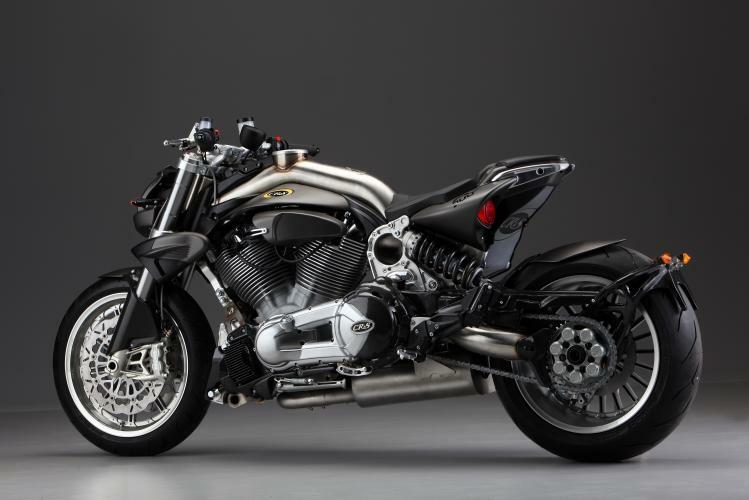 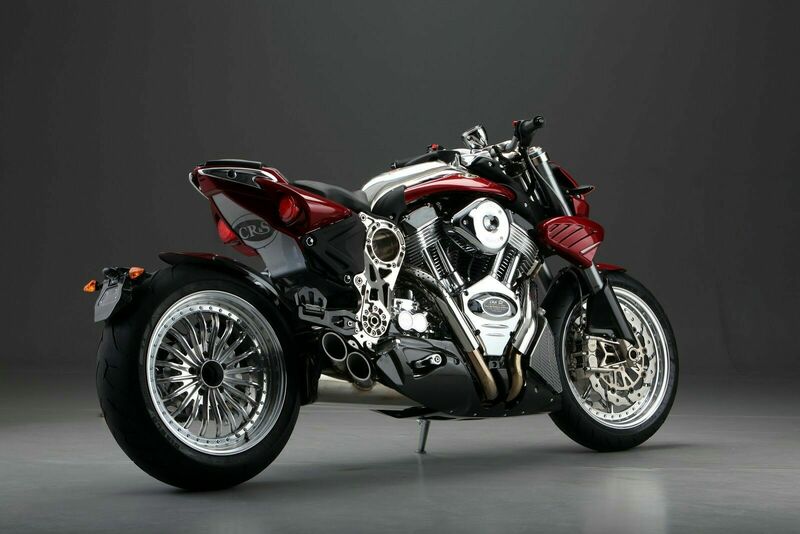 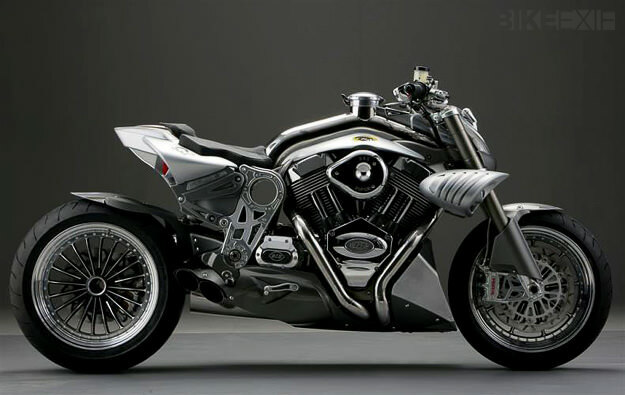 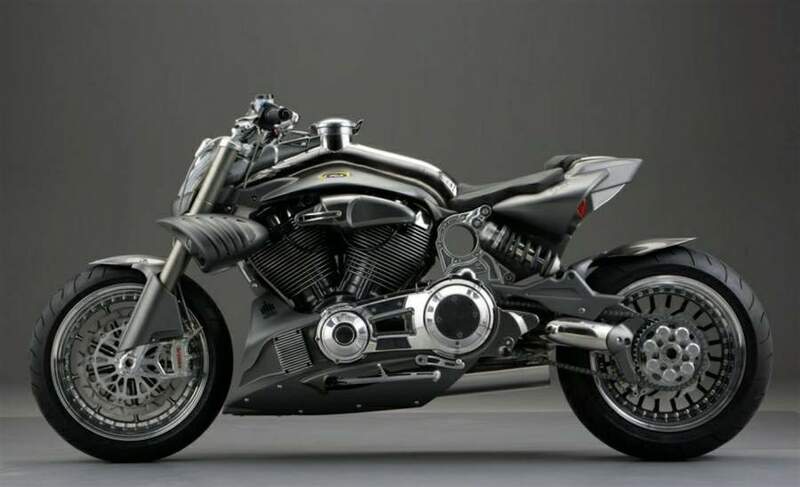 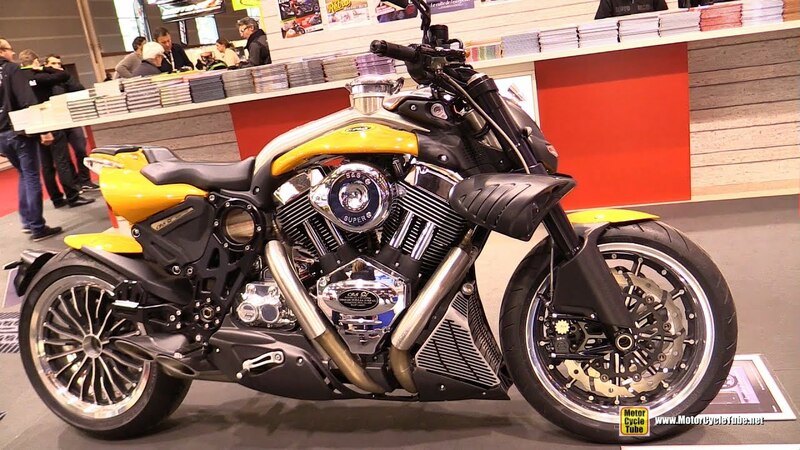 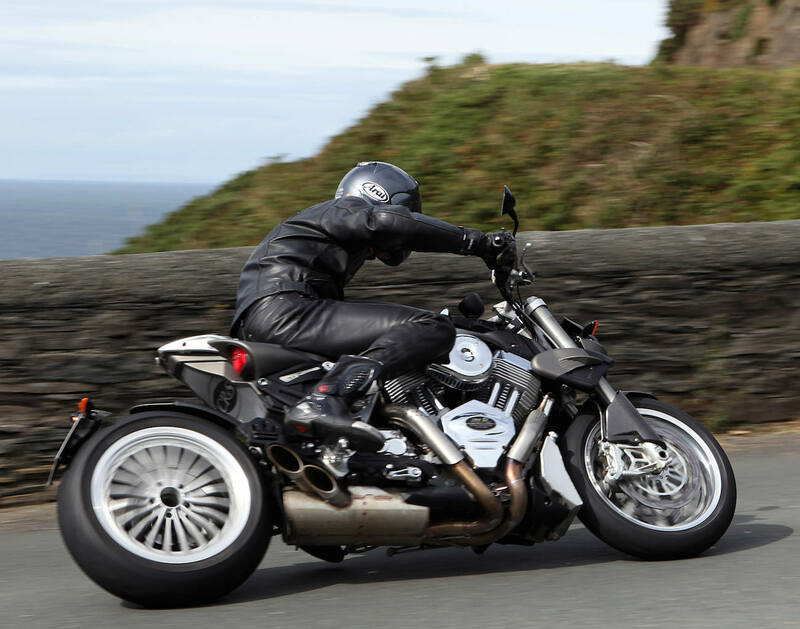 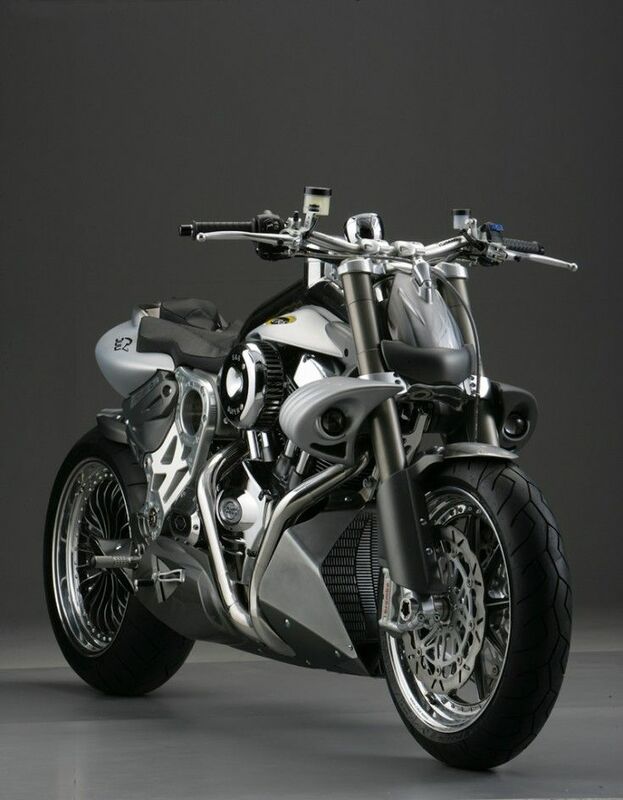 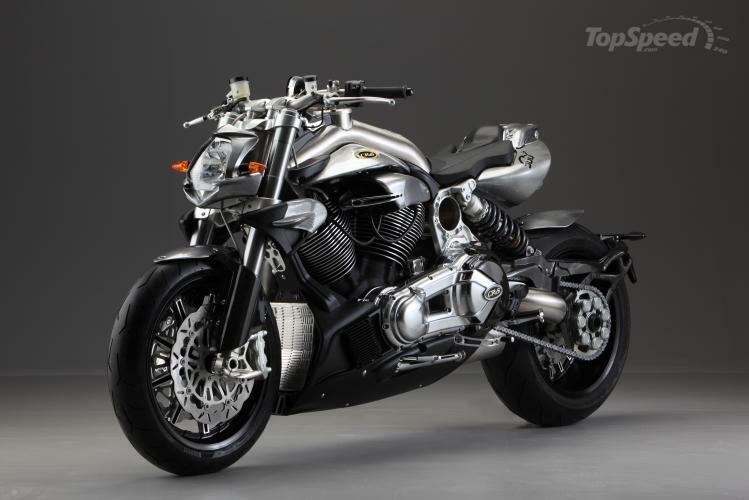 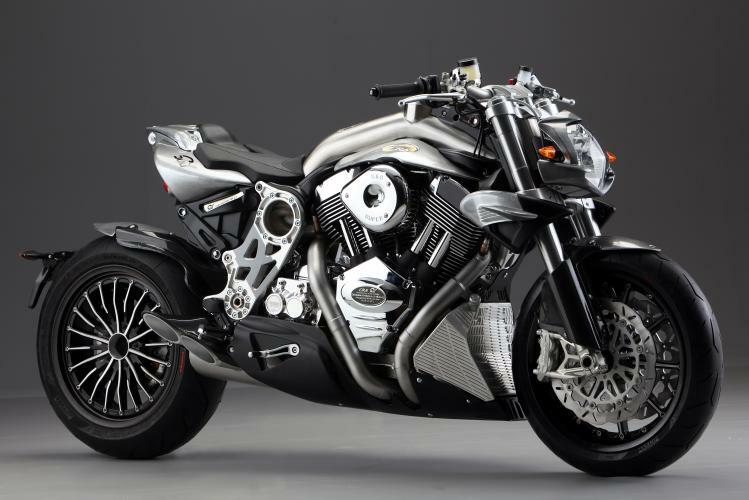 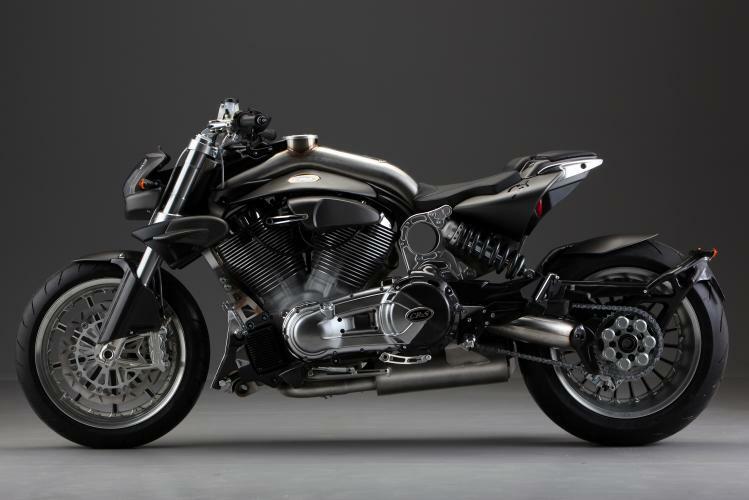 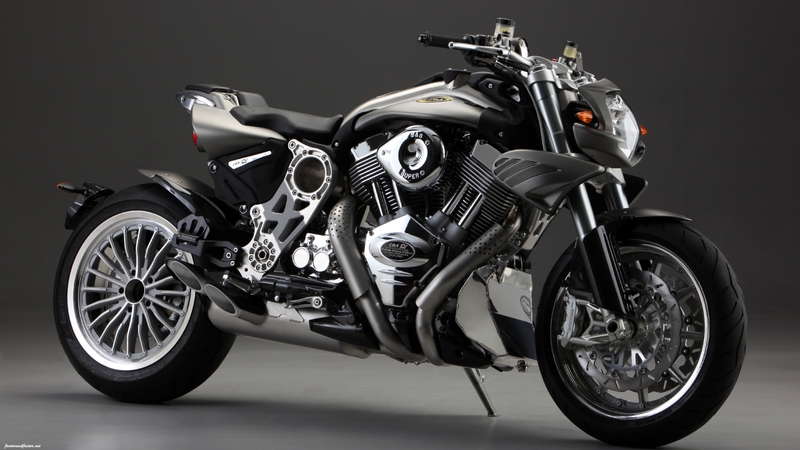 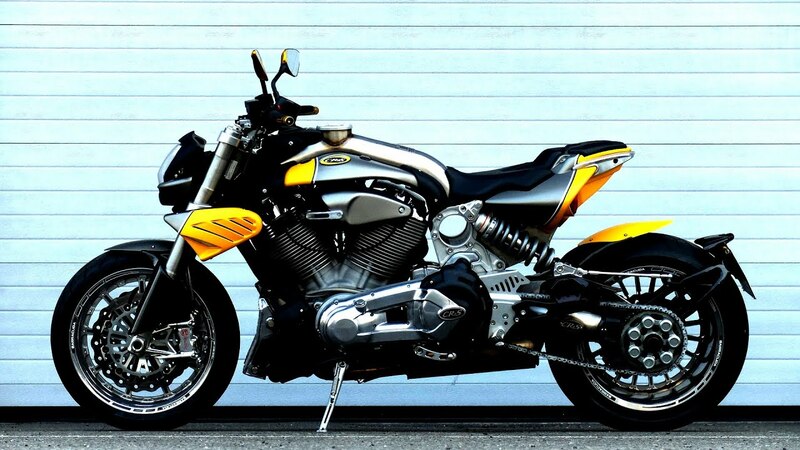 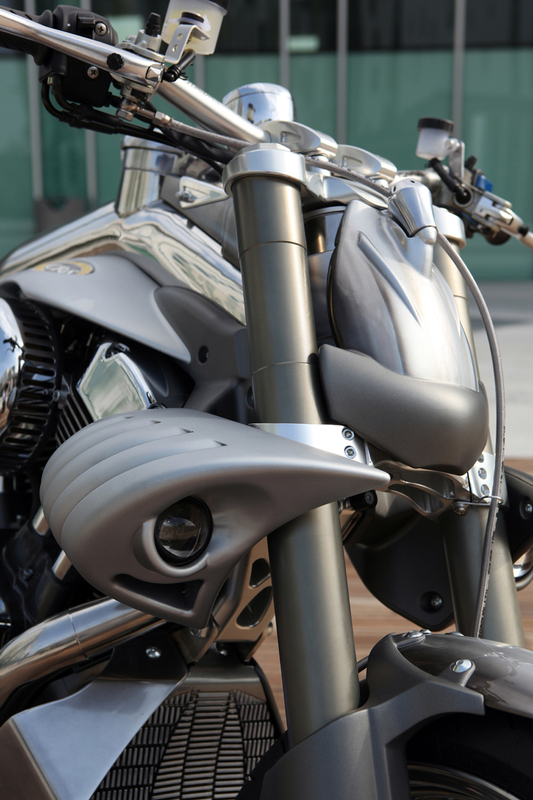 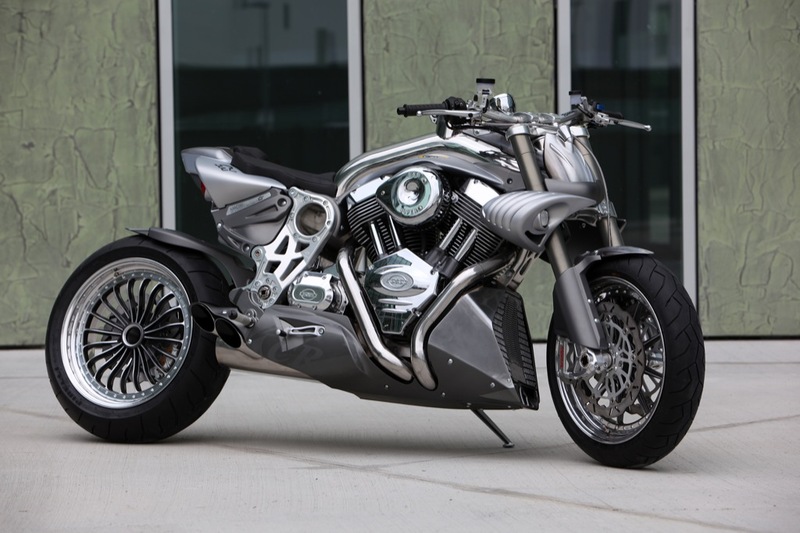 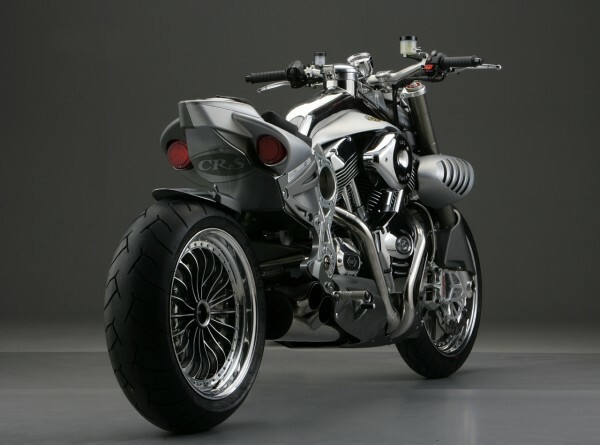 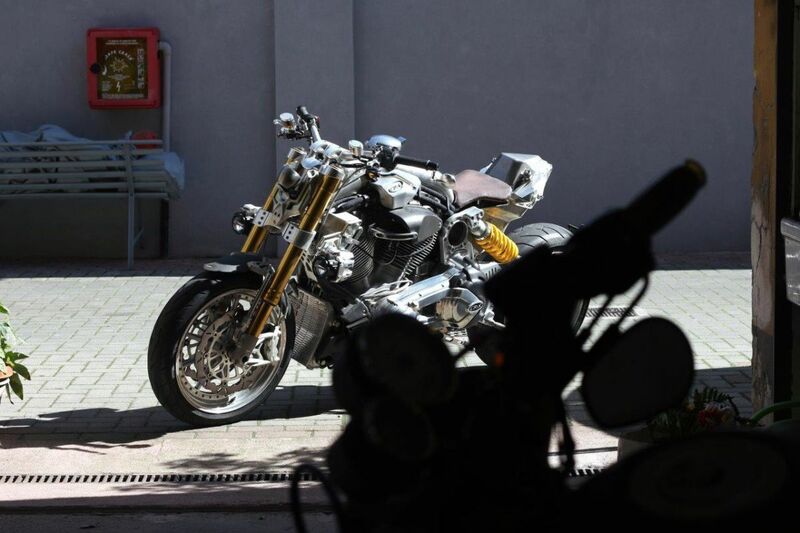 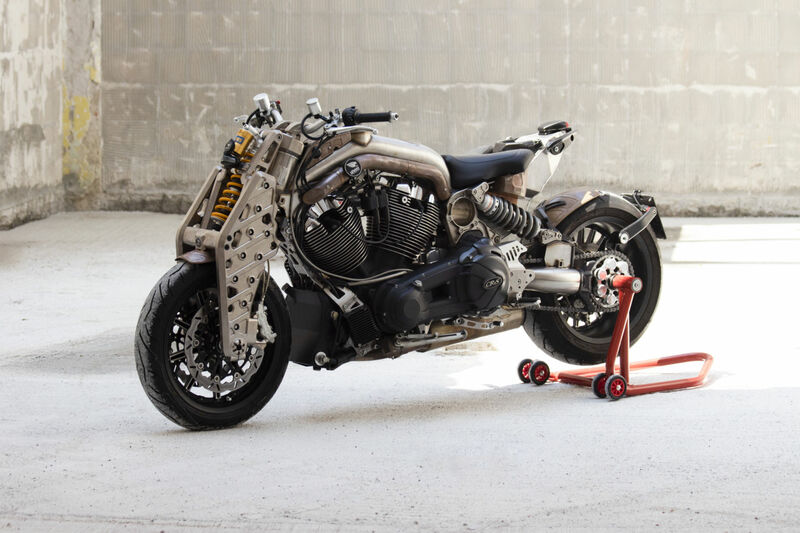 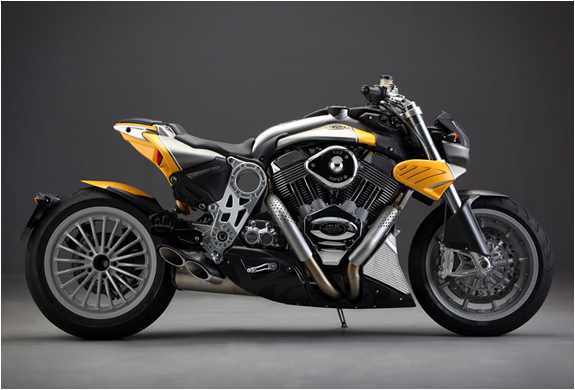 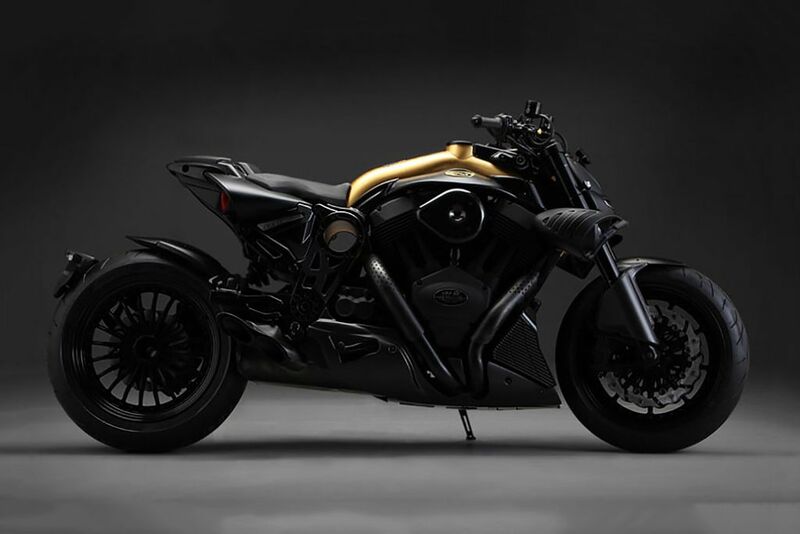 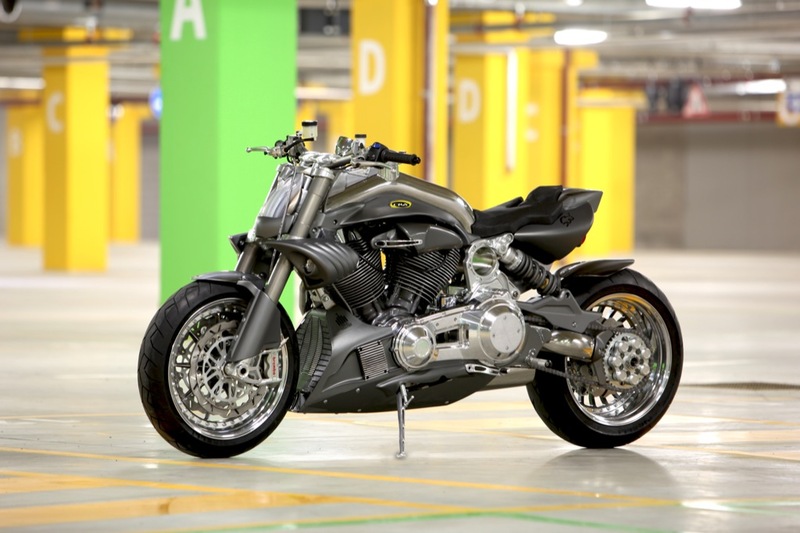 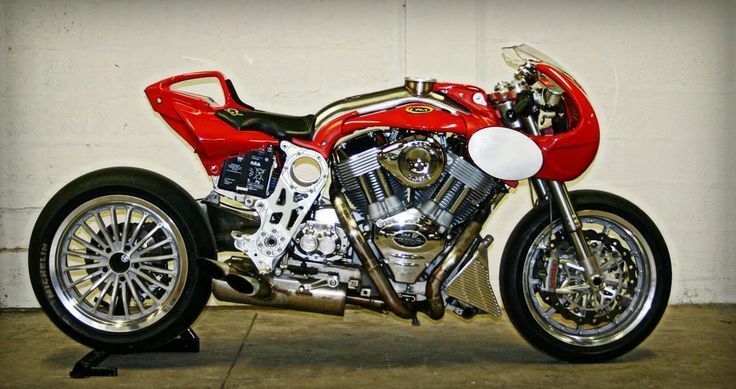 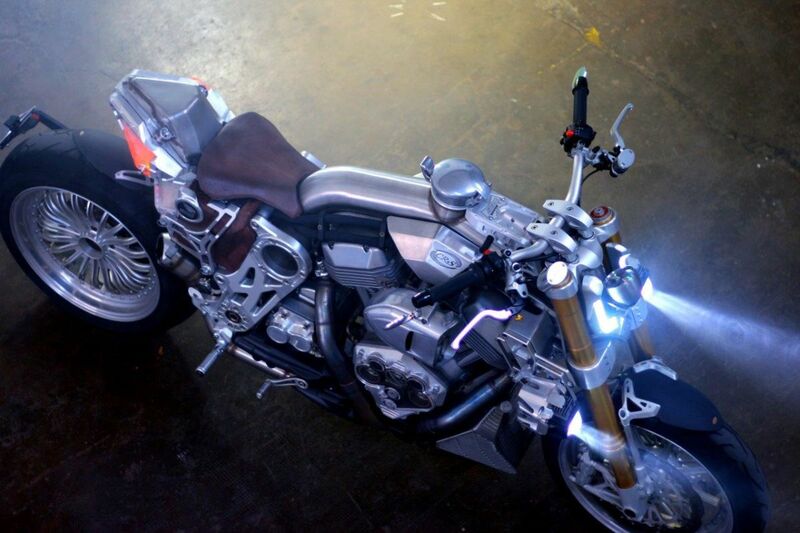 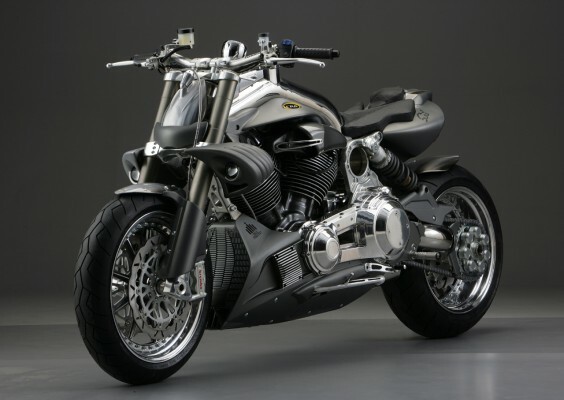 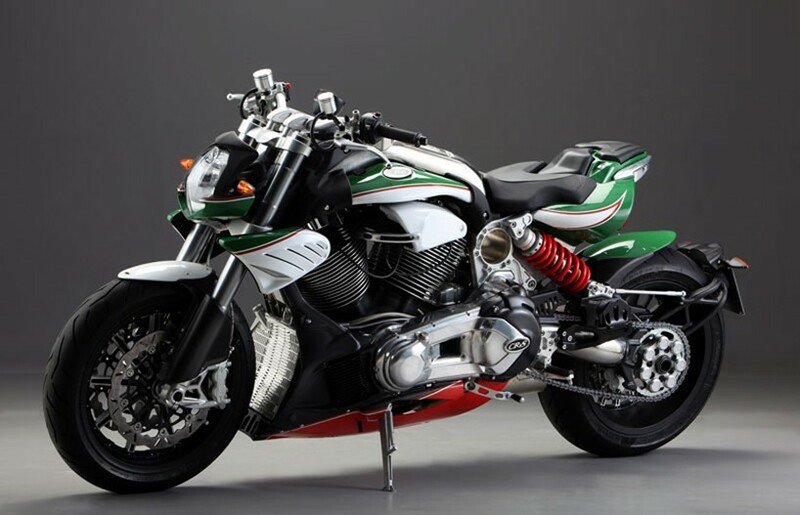 This is the DUU, the craziest looking naked twin cylinder bike available in the market today. 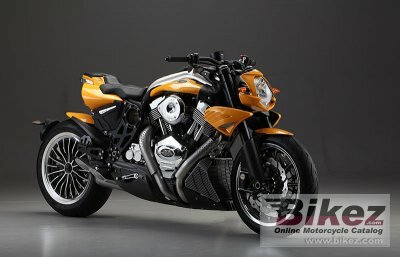 The price of a CR&S Duu depending on the custom you want and start from USD 27,000 (RM 82,000). 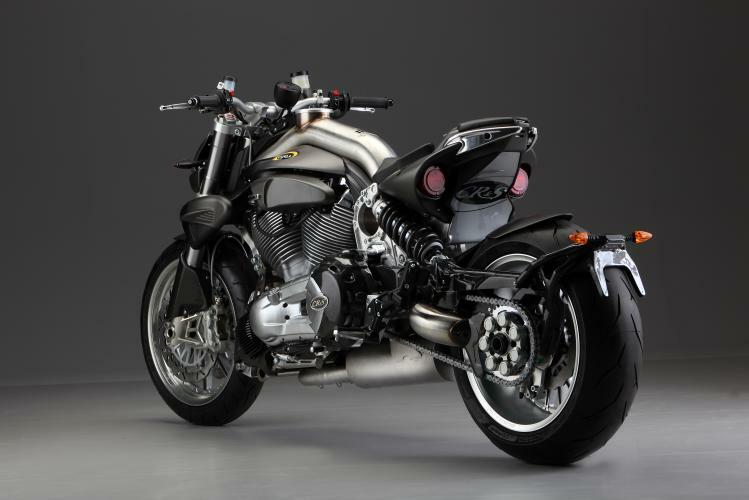 ... but the CR & S example is a mix of design ideas of the Europeans and the image characteristics of the motorcycle from the USA.